This large-scale engraving shows Landseer's artistic skills at his best. Three hunting horses are show at grass, resting between seasons. 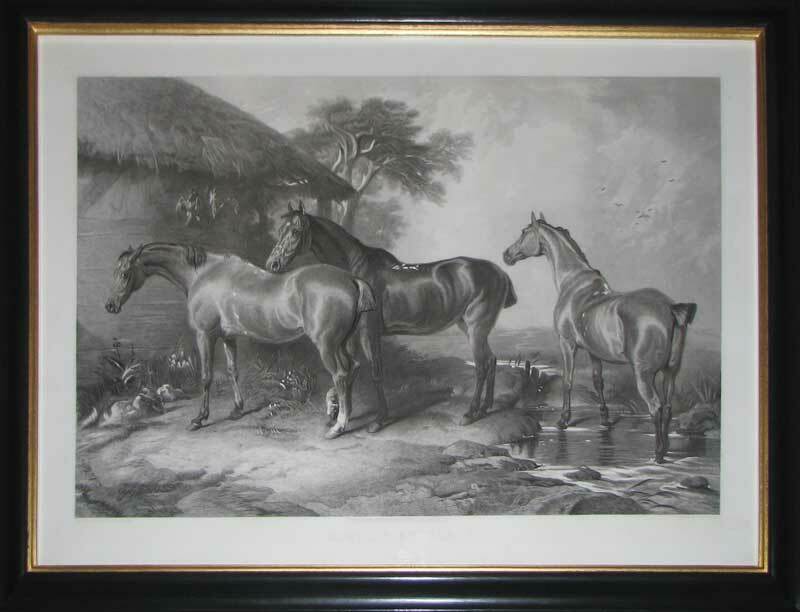 He is arguably the best equestrian artist working in England after Sir George Stubbs. Charles Lewis was considered a very capable and reliable engraver who could be trusted to reproduce the work of some of the most famous artists of the day. Sir Edwin Landseer (1802-1873) was one of the most celebrated animal artists of the nineteenth century best known for his magnificent Highland stags, his beautiful horses and his charming depictions of Queen Victoria's dogs. He popularised the heroic element of animals as seen in his iconic stag, The Monarch of the Glen. He is also remembered for modelling the four lions that flank Nelson's column in Trafalgar Square.